A little Danish word that even Danes find hard to define has become so trendy in the English-speaking world that it has been granted the ultimate accolade of being absorbed into the language. It’s now official: the word ‘hygge’ has been adopted into the Oxford Dictionary. According to the BBC News Magazine, Morley College in central London is even teaching students how to achieve hygge as part of its Danish language course. It may come as a surprise to most of us, but apparently “hygge isn’t just a middle-class thing. Absolutely everyone’s at it, from my dustbin man to the mayor,” explained Helen Russell, the author of ‘The Year of Living Danishly: Uncovering the Secrets of the World’s Happiest Country’. At least nine books have been published on the subject. However, Charlotte Higgins writing in the Guardian sounds a cautionary note. 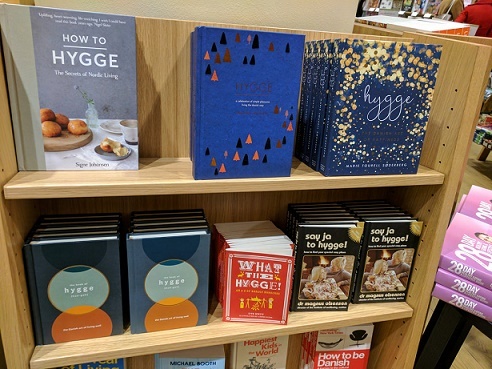 “Just as ‘chic’ is the thing that everyone knows about the French, the word hygge must now be affixed, almost by law, to any media story about Denmark or, indeed, anything remotely Scandinavian, whether the subject is clothes, furniture, cookery, travel or working hours,” she said. It would appear that in the UK it is already bordering on being uhyggelige!